So was Brad Keselowski a 'jam car' for Rick Hendrick's championship group in last Sunday's Kansas 400? Well, it wouldn't be the first time a team driving for the NASCAR title has thrown an extra or car or two in the field down the stretch, to liven things up. Whether it's to try to put some extra cars in there to 'steal' points away from challengers, or just to change up the dynamics, it's typically been an eye-catcher….most noticeably in one of the Dale Earnhardt-Rusty Wallace title duels back when. Fair or unfair, it's hard for NASCAR to police it. But Keselowski's appearance at Kansas was certainly something of a distraction for title contender Denny Hamlin…after their run-in at Dover the week before in Saturday's Nationwide race. Hamlin might have brought it on himself, of course – if he's running for a Sprint Cup title, maybe he should be focusing his energies on that. If Charlotte track promoters Marcus and Bruton Smith really want to get some attention for their chase race next week, they should consider bringing in Danica Patrick. The erstwhile NASCAR player ends her Indy-car gig for the season this Saturday at Homestead-Miami and she should have a few days to sign a few autographs at Lowe's Motor Speedway and get to know some of the people she'd be playing for and playing with if she decides to come to NASCAR next year. Oh, want to rile some feathers? Raise the issue of 'fairness' and equity. Consider NASCAR taking away a Juan Pablo Montoya runaway at Indianapolis in late July, for pit road speeding by, let's see, how many thousandths of a second over how many segments? And consider NASCAR's still shocking suspension of little-guy Carl Long for that All-star engine at Charlotte in May, and the record-breaking penalties assessed. And consider the 'warning' NASCAR gave the Mark Martin and Jimmie Johnson teams after going 1-2 at Dover. "I've never seen NASCAR issue a 'warning' like that," one veteran NASCAR engine man, with more than 20 years in the business, says, adding his bit to the skepticism about the whole deal. Carl Edwards' flipping crash at Talladega in the spring, which injured half a dozen fans, has prompted a significant change in catch-fencing at NASCAR's biggest, fastest oval. The fencing, which was 14 feet, will be raised to 22 feet, and it will be curved at the top. More detailed fencing design changes were not immediately available. The Talladega 500 comes up in three weeks. Ryan Newman said "I'm glad somebody did something. Ultimately that's not the answer. Ultimately we need to keep the race cars on the ground. I don't think anything has been done with respect to that. I don't think the parts and pieces that flew through the fence and hurt the people, no matter how high the fence is, you're still going to have that. I don't think the solution is fixed, but I'm glad somebody made an effort. But we saw (Matt) Kenseth in the Nationwide Race get upside down on the back straightaway. Luckily, he didn't hit anything or hit anybody. But on Carl's deal, we don't need to see cars get airborne, period, for any reason. "I wish some more was done to the race cars to keep them on the ground, whether it's different style roof flaps; there are things that we could be testing and working on in respect to that. And maybe NASCAR is for next year, but we're still going to Talladega in a few weeks here." New Dodge boss Ralph Gilles, who has taken over abruptly, with Monday's Fiat-led Chrysler-Dodge shakeup that led to the departure of two of the company's top three men, including veteran NASCAR booster Mike Accavitti, may have to do some quick damage control. Gilles has issued a curt statement: "Dodge intends to remain involved in NASCAR competition. Our brand-focused strategy for development and marketing of Dodge vehicles through the sport remains a good fit for the company. "Dodge customers and NASCAR fans share the enthusiasm for performance on and off the track. We’re looking forward to strong performances for the remainder of 2009 and the foreseeable future." Dodge and Chrysler aren't the only Detroit operations with sudden major shakeups – General Motors' top ad man in the U.S., Mark LaNeve, is leaving GM. No word why. Meanwhile over at Ford the new NASCAR Nationwide Mustang – which begs to race against Chevy's Camaro, if GM's Brent Dewar gets up the courage to put his stuff out on the track against it next season – will be unveiled to the public for the first time next week, Tuesday Oct. 13 at Jack Roush's Concord NASCAR compound. And this isn't just your typical fan-meet-and-greet: Edsel Ford himself will be on hand…maybe to try and prod Chevy rival Dewar into playing the muscle-car game too. Now if NASCAR officials will just decide just what to do with the new Nationwide car in general next season. Its debut has been delayed several times, and it may not be on the track until next summer, though some hope NASCAR will let it run at Daytona in February. Anybody seen Kyle Busch the last few Sundays? So what to make of Busch's disappearance? Since missing the Cup playoff cut at Richmond, the man some consider the best driver in the sport today has been almost invisible. And then on the Nationwide tour, where he is running away from Carl Edwards toward the Saturday championship, Busch seemed a bit asleep at the wheel while leading the last lap last weekend at Kansas, letting teammate Joey Logano snooker him, on the outside no less, for the win. Of course maybe it's just a general letdown for Busch, no doubt. This weekend should tell us more: in the spring weekend here, Busch won the Truck race, then won the Nationwide race, then finished third in the Cup race. But what we're also seeing is a surging Joey Logano, who even though just 19 is starting to live up to those predictions we've been hearing for so many years. And Logano's Kansas win came just a week after that horrifying flipping Cup crash at Dover. This weekend here it could be another Busch-Logano finish. Remember the spring race: "If there would have been a few more laps left I think we could have made our way to the bumper of Kyle and raced him for the win," Logano says. "I knew right then that our downforce package (on the Nationwide cars) was going to be strong all season." Indeed – Kansas was his fourth Nationwide win. In fact if anyone other than Logano or Busch wins Saturday, it would be an upset. Joe Gibbs' Nationwide drivers have dominated this track, leading 423 of a possible 450 laps the last three races. For Busch this Southern California track is where he first made a name for himself in NASCAR – in 2001, when just 16, he was ready to make his NASCAR Truck tour. On a frantically legal Friday, NASCAR officials found out they had to pull Busch out of the field, because Marlboro was the weekend's featured track sponsor, and teenagers and tobacco, well, it was all rather embarrassing. NASCAR then ruled that its drivers had to be 18 to compete, so Busch had to wait another two years. But when Busch came back, he came back with a bang, getting his first career Cup win here, then the youngest Cup winner ever. And the kid who broke that 'youngest ever' record? Logano, three months ago. Logano's rookie season on the Cup tour is almost over, and he's certainly has a busy eight months: "I've had a lot on my plate this year…but it's been a blast." Oh, and there was that Cup win at Loudon in June…. All of which has Logano running away with the Cup rookie of the year race….and people wondering even more about Team Red Bull's Scott Speed. Viewers may be tuning out NASCAR-on-TV in surprising numbers…TV talk may be getting more and more Kool-Aid-bland and outspoken color men like Jimmy Spencer may be getting muzzled….and Sirius-XM radio stock may be down to 58 cents a share (with even the company execs selling large blocks of shares). But the Internet stuff seems to be thriving….if you can just keep track of what all is out there. Here's something new: The Greg Biffle Show – 'Straight Talk with the Biff.' -- on www.gregbiffle.com Monday nights at 9 p.m. 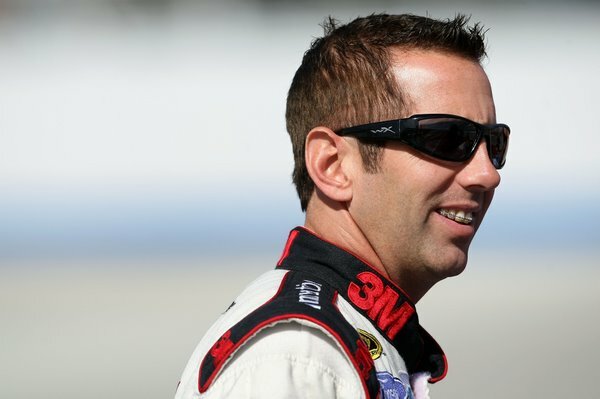 If Biffle wins Sunday's California 500, he'll almost certainly have to beat both Jimmie Johnson and Jeff Gordon. Gordon in particular has come alive this season. And remember he led 64 laps here in the spring before losing to Matt Kenseth. Gordon has shown strength on all the mid-sized tracks lately. Over the last 15 tour events on the 1-1/2-mile tracks and two-mile tracks Gordon has eight top-two finishes…and a 4.5 average finish. In fact NASCAR's swapping this California track from Labor Day out-of-the-chase with Atlanta Motor Speedway and making this Rick Hendrick playground a key chase stop seems to play right into the hands of Johnson and Gordon. Consider: California, Charlotte and Martinsville….so this could be the put-up-or-shut stretch of the season for Johnson's and Gordon's rivals. What's going on with Paul and John Menard? They've got another year on their Ford contract with Doug Yates, but it looks like rival team owners may be making a play for two – the driver and his father, whose Menard's sponsorship is quite attractive. Perhaps to Richard Childress, who can point to Juan Pablo Montoya's championship charge – with Childress horsepower. And if Montoya were to win the Sprint Cup championship – where would Teresa Earnhardt fit into the picture? In Las Vegas, at the head table? After all, she is partners with Chip Ganassi and Felix Sabates in this team. More than that – Teresa Earnhardt is listed as the official car owner for Montoya's team. Of course the listing of 'official car owner' is more political and bizarre than just straightforward. For example Bobby Ginn is listed as Clint Bowyer's official car owner…and Margaret Haas as Tony Stewart's….and Teresa Earnhardt also has two other teams under her name. And here's one to ponder: how much longer with Toyota execs be willing to spend those hundreds of millions of dollars on a Formula One program that still hasn't made much headway toward success, despites so many years on that tour. Wouldn't that money be much better spent in the U.S., in NASCAR? Chase racer Ryan Newman is almost a goner in the Cup title chase, and this weekend's stop is, well "Unfortunately it's not one of my favorite places to go," Newman concedes. "I have not had the best record. The track can be a lot of fun because it's a very smooth track and super-fast. But I just haven't done all that well there. "But it's a track where a lot of times your team's strategy determines the finish -- because a lot of times it becomes a fuel mileage race." Tickets, tickets, tickets. 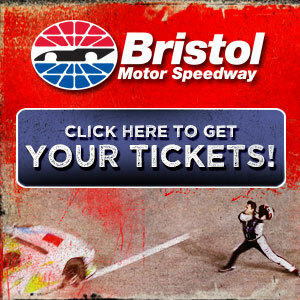 Every NASCAR track, it seems, is putting 2010 on sale…. clearly to gauge what the market might look like. This season has been quite a challenge, to say the least, for NASCAR promoters, who seemed shell-shocked early but who then rallied to pull in good crowds the past several weeks. -- Darlington's Mother's Day Southern 500 tickets has reduced ticket prices on over 40,000 seats, some as cheap as $35 bucks. -- Dover's May 400 in 2010 are also going on sale now. And Dover is also putting tickets for next fall's championship chase race on sale in December. Charlotte's Lowe's Motor Speedway, though, has a more immediate goal: selling next weekend's NASCAR seats. A 'four-pack,' which includes four tickets to the 500 and four hot dogs, four cokes, and a coupon for a free two-liter of Coke Zero, is on sale for $39.75 a person….which means the whole package is about $160. And the track has listed some 90 hotels within an hour of the track who are cutting rates by 15 percent. When it comes to Southern California's Auto Club Speedway Jimmie Johnson, from nearby El Cajon, is the marketing headliner, San Diego part of the market hard, and this week he's hosting the third annual Jimmie Johnson Foundation golf tournament and dinner auction. Among NASCAR stars joining Johnson will be Kurt Busch, Brian Vickers, Jamie McMurray and Casey Mears. The event in its first two years has raised more than $1 million. Submitted by on Thu 10/08/2009 - 14:06. I do not see why Teresa Earnhardt would not sit at the table with Chip Ganassi and Felix Sabates. These people needed each for years. I hope that they decide to stay together and if not I wish them all well. They had a wonderful year despite the economic chaos. Teresa is not the evil witch the media wants to believe she is. Teresa is hard and tough, but that's why Dale Senior left the business to her. Teresa will make certain any Earnhardt willing to work the DEI way will have an opportunity to race. I would not want to see the Menards at Childress. The Menards tend to create more problems then they solve, and were a large chunk of the problem at DEI. Menard convincing Teresa Earnhardt to dismantle her shop and allow the Menard IRL facility in England to build her engines without the much needed understanding of how to put together a NASCAR engine was why Teresa Earnhardt turned to Bobby Ginn in the first place. Bringing in Max Siegel from the IRL circuit was another mistake because Siegel thought he and the Earnhardts could seize DEI from Teresa. It would be best that the Menards put together their own team and run Paul that way. Paul is becoming a better driver. John Menard is not becoming a better owner but has Paul's interest at heart and experience with Robby Gordon to understand how a NASCAR facility needs to be run. Bobby Ginn really never went away. NASCAR always finds a way to help someone out. Ginn just got too ambitious and it's a shame Ginn didn't tell Teresa about the Hendrick debt. Or did Ginn tell Siegal and Siegal just left it on the business backburner. You never know about these things. A lot of the media is being muzzled in sports. Look at Scott Van Pelt from ESPN radio being suspended for comments about a certain commissioner in February 2009. A lot of pit bulls are being put out on the streets and the streets are getting meaner. The Communications Decency Act, Section 230 is being used to muzzle bloggers criticizing race teams and drivers. Drivers are being fined for outbursts, media personalities suspended and fined for reporting the outbursts. The dialogue on both sides are being squashed in the name of cashflow and these supposed hard times for corporations is giving way to more aggressive measures towards journalists and bloggers. Shameful. Submitted by Chris NNC on Fri 10/09/2009 - 16:15. Mike, have you been muzzled, threatened with muzzlement, offered a prize for being muzzled, or have you found yourself on the mean streets and found yourself fined? Or was the last mean street you were on N. Spruce? Submitted by Mike on Sat 10/10/2009 - 00:14.
i am on the D-list, believe me.